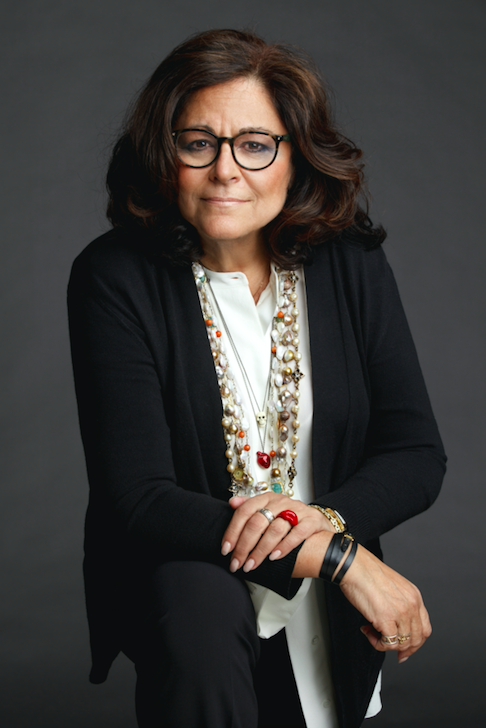 BIO: The award-winning creator and organizer of Fashion Week in New York and cities across the globe, Fern Mallis has been an industry game changer in the world of fashion and design for more than 35 years. A former senior vice president of IMG Fashion and executive director of CFDA, she is the author of Fashion Lives: Fashion Icons with Fern Mallis, published by Rizzoli, which features no-holds-barred interviews, combined with never-before-seen personal photographs from interviewees such as Tom Ford, Marc Jacobs, Calvin Klein, Donna Karan, Michael Kors, Tommy Hilfiger, Betsey Johnson, Polly Mellen, Bruce Weber and more. She is currently the president of her own leading international fashion and design consultancy, Fern Mallis LLC. CT: Fern, tell me how did you start out in the industry? FM: My career in fashion really began when I won a contest – with Mademoiselle Magazine. I won a place in their Guest Editor competition in 1969, when I graduated from Univ of Buffalo. After completing my magical month in the “GE” program, I was given a fulltime job with the magazine. CT: You mentioned you loved going to the garment district as a young girl with your father who was an accessories salesman, did this spark off your interest in Fashion and if so, how? FM: It did – very much so. It was a very vital, bustling neighbourhood, devoted to an entire industry….fashion and apparel. Everyone on the streets and in every building worked in this business, and it seemed like they all knew each other. I loved the energy, clothes, and seeing the whole process of designing, manufacturing, selling and so forth sparked my imagination. CT: Some years down the line after working for Mademoiselle Magazine, you landed the role of Fashion Director of Gimbels East department store on New York’s Upper East Side – how did this role mould from magazine life to the world of retail? FM: The roles related to each other. My last position at Mademoiselle was as Merchandising Editor. I travelled to every department store in the country…..which made moving to a retail environment a pretty seamless transition. I loved being at Gimbels East- overseeing the fashion buys, the windows, store events and advertising. CT: You are known in the industry as the ‘Godmother of Fashion’, how do you think Fashion week has shaped since you effectively launched it from the tents at Bryant Park? FM: Fashion Week is an event that I am extremely proud of having had a role in creating. Before the tents in Bryant Park, there was no unified voice for the America fashion industry, and it was virtually impossible for designers to compete with their European counterparts. CT: What keeps you excited about fashion weeks? FM: The prospect of discovering new talent each season is always exciting, and also seeing designers evolve and grow and sustain their businesses. I love seeing the creativity in how they present their collections each season. Although the now many different venues and distances between shows does not excite me. CT: In your eyes, what makes a designer unique and what exactly makes them relevant? FM: A point of view that is consistent, honest and unique. Having a look that is clearly identifiable. They are also relevant if they know who their customer is and they continue to serve them. CT: … Who does it so well? FM: Today I would say, Tom Ford, Michael Kors, Tommy Hilfiger, Norma Kamali, Monse, Anna Sui, (int’t…Dries Van Noten, Chanel). CT: How tough do you think it is to survive in the market today? FM: Surviving in the market today is very tough. There is so much out there, and so much competition, and seemingly fewer people buying fashion these days. It is very costly to stay in this game and I truly am not sure how so many designers can stay in the business. CT: What advice can you give to those wanting to get into the ever-evolving fashion industry? FM: Be passionate and really creative. Have ample financial backing and partner with someone very smart, who has your back and can handle the business, allowing you to be creative and do what you do best. Hire a good lawyer at the beginning…not years later when you are in trouble. CT: What is one fond memory that you will never forget during your role as Executive Director of the CFDA? FM: That’s a really hard question. There were so many amazing moments….but one thing that stands out was launching the Fashion Targets Breast Cancer initiative back in 1993/4 at the White House with First Lady Hillary Clinton….and spending time in the private residence there – and ultimately raising close to $100 million around the world with licensing campaigns. I also can’t resist adding another…10 years of producing the CFDA Awards honoring so many incredible people….and having Princess Diana attend to present an award to Liz Tilberis. CT: What designers would you say are ones to watch? CT: What do you think of the new centralized hub of Spring Studios that’ll play a large part in the shaping of 2018 NYFW fashion weeks? FM: I’ll let you know after February 8th….but I am generally not too fond of that location. It is difficult to get to if you live above Canal Street, and it all depends upon a few elevators getting you up to the venues which I heard are all a bit smaller than usual. But of course I’ll give it a chance as IMG does a great job producing the shows under their auspices. CT: Can you predict what’s next for New York fashion Week? FM: Absolutely not….seems to be an ever evolving, moveable feast. More and more people every day tell me how much they miss Bryant Park. CT: What are you working on at the moment? FM: I am always working on my “Fashion Icons” interview series at the 92Y cultural center here. I just did Thom Browne, and will talk with Iris Apfel on March 21. FIT’s Foundation Board keeps me very busy. I’ll also be heading to Philly Fashion Week late February, Charleston Fashion Week in March as well as Nashville Fashion Week in April and have several other regional Fashion Week appearances planned. Beyond that, I always have my consulting and various advisory boards keeping me busy. CT: Finally, with me being a Londoner… tell me who is one of your favourite British designer? FM: Molly Goddard, and Iconic designer Zandra Rhodes, and I have great respect for Vivienne Westwood. This entry was posted in Interviews and tagged Asher Levine, Brandon Maxwell, Brandon Sun, CFDA, Chris Gelinas, Fern Mallis, Heron Preston, Hillary Clinton, Interview, Iris Apfel, Lou Dallas, Matthew Adams Dolan, Michael Halpern, Molly Goddard, Monse, New York Fashion Week, thom browne, vivienne westwood, Zandra Rhodes. Bookmark the permalink.